The Three Chimneys on the Isle of Skye is a place to retreat and where we work towards ensuring that our impact on the environment is kept to a minimum. 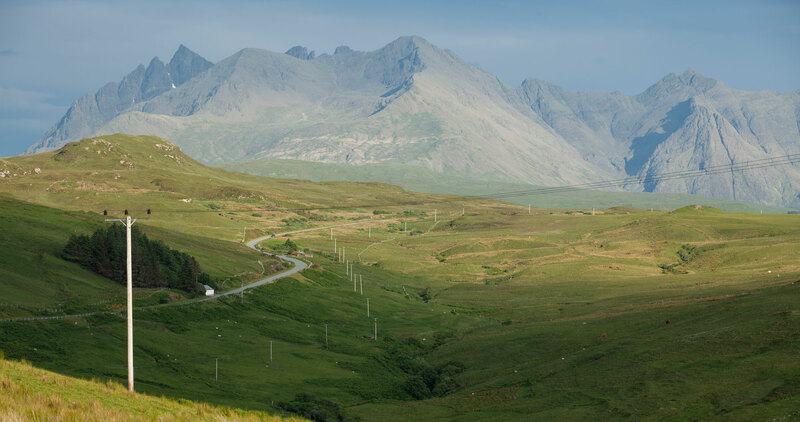 Our aim is to ensure that our unique location on the stunning Isle of Skye is preserved for the enjoyment of our guests and our local community for generations to come. As part of our commitment to sustainability and green tourism we are assessed under Green Tourism,the leading sustainable tourism certification scheme in the United Kingdom. Virtually all of our ingredients are sourced fresh from within a few miles of the restaurant on Skye, followed by the Scottish Highlands and some wider sources throughout Scotland. The freshness and integrity of our ingredients fuels our passion for what we do. Our menus reflect the outstanding variety of Skye's authentic, natural larder from land and sea. The exceptional quality, true provenance and seasonal freshness of these local ingredients, is paramount to our business ethos. We work closely with our suppliers to minimise their environmental impact of their products and transportation. We eliminate out sourcing by preparing many of our own products in-house wherever possible: marmalade, preserves, granola, all confectionery, bakery and pastry, to name just a few. All our waste is disposed through safe and responsible methods. We minimise waste by reducing, re-using and recycling materials wherever possible. Electricity, gas and water are monitored to reduce our energy consumption wherever possible. In-house Green Towel policy for our guests. We use a Skye commercial laundry service, eliminating transport to mainland and supporting local industry. All our guests are encouraged to explore our local area and the wider Isle of Skye by providing guide books and maps, local advice and information..
We belong to the VisitScotland Walkers and Cyclists Welcome scheme.